HomeKlondike really doubts that there is a person who has never had New Year resolutions. Sports, healthy diet, new foreign languages – these are the most popular focuses of our “new” lives that are supposed to start on the 1st of January. 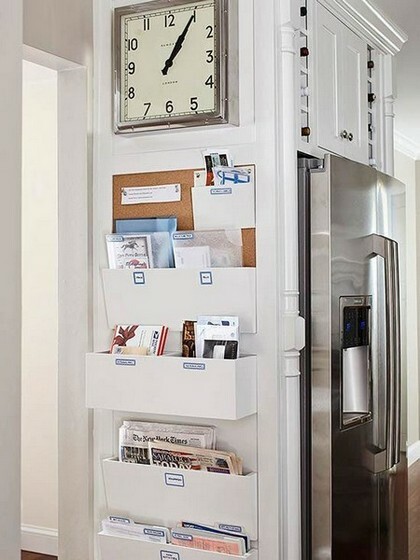 But we have decided to suggest you a more realistic and undoubtedly useful habit that will have a positive impact both on your daily life and your interior. So, what is it? 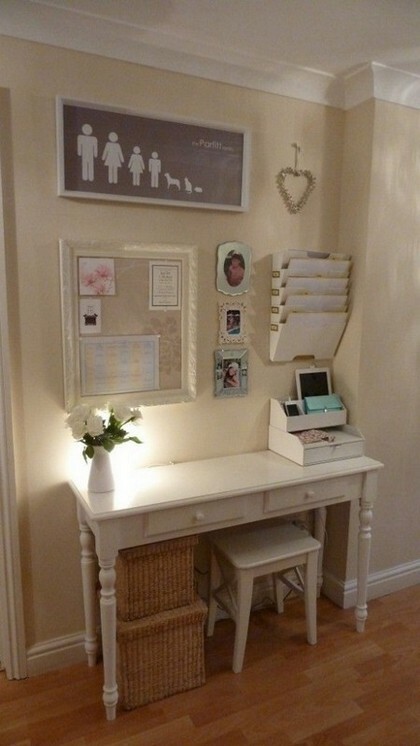 A family notice board. This is a spot where the entire information concerning your family plans, chores and targets is concentrated. 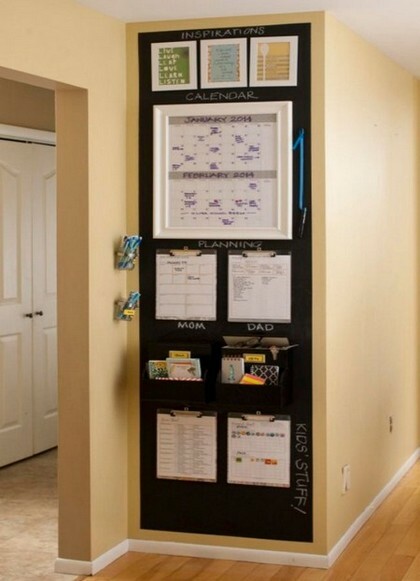 It can feature housekeeping schedule, dog-walking timetable, birthday guest lists, important phone numbers, school timetable and many other things that mean something for you and your family and from now on will be well organized and detailed. Given that we’re interested in interior design issues in the first turn, let’s speak about them. 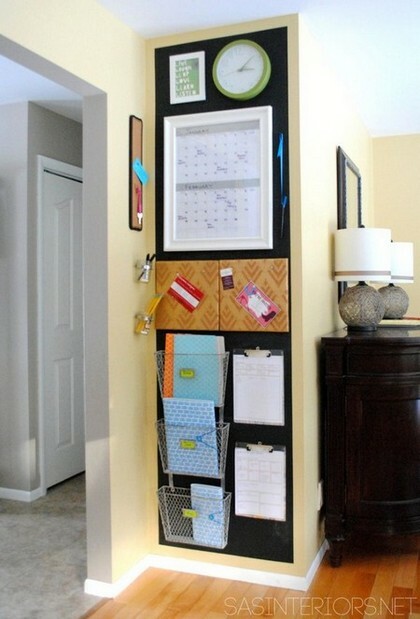 For a start you should find the right spot for your organizer. The best options, to our mind, are a hallway or a kitchen, which are the most public and visited areas by all members of the family. Now it’s time to choose the surface. 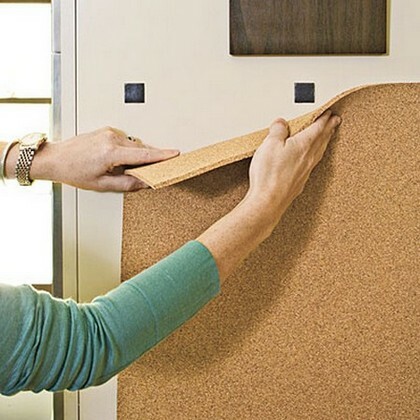 The simplest and most ergonomic one is a chalkboard. You may buy a ready-made model in a store or just paint some surface with special chalkboard paint, for example, your pantry door. One more practical option is cork. 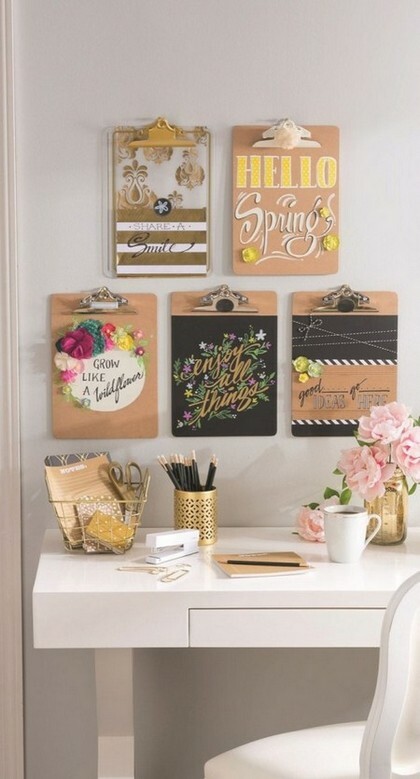 Wooden boards with binder clips decorated with your own hands look like pieces of art per se. 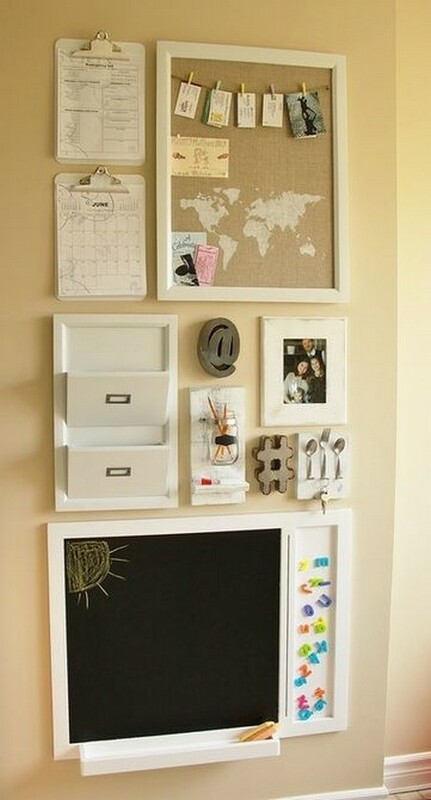 But the most convenient opt is the combination of the above-mentioned tools and materials coupled with a few sweet things: a photo frame, a souvenir or some memorable little thing. 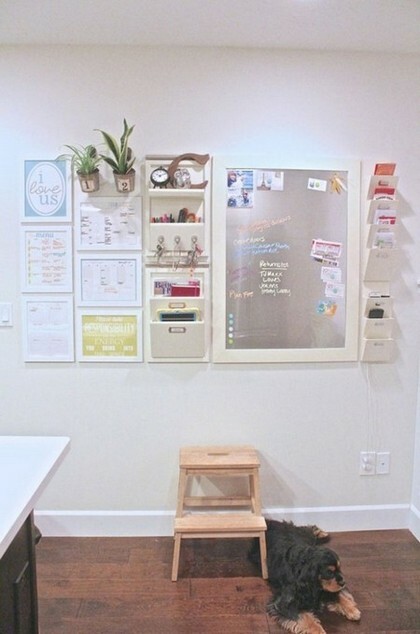 One more potential spot for a family command centre is a wall in front of a writing desk. Of course, if it’s someone’s full-fledged and full-time work area, you’d better look for other options. 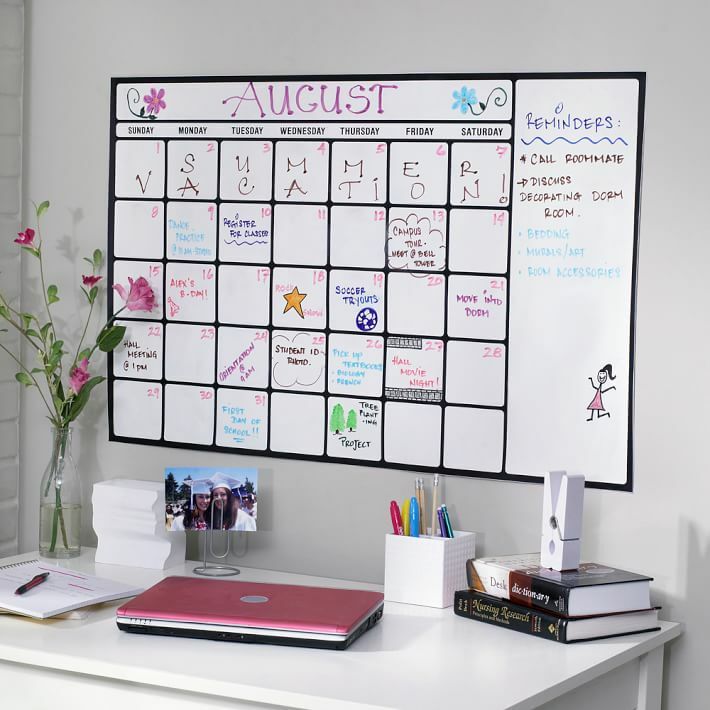 Having all your notes neatly organized on a magnetic surface would be a great idea. 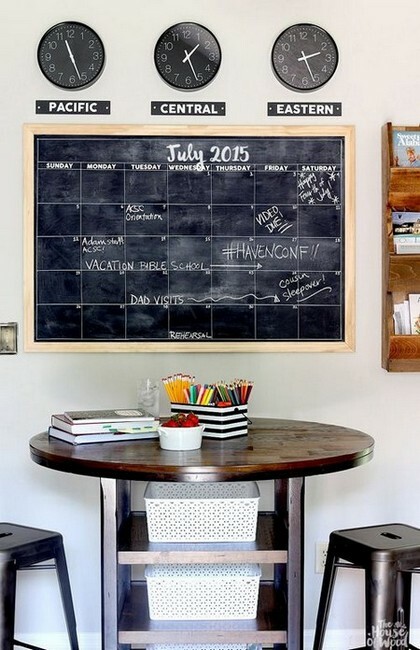 By the way, many manufacturers already add magnetic powder to chalkboard paints. 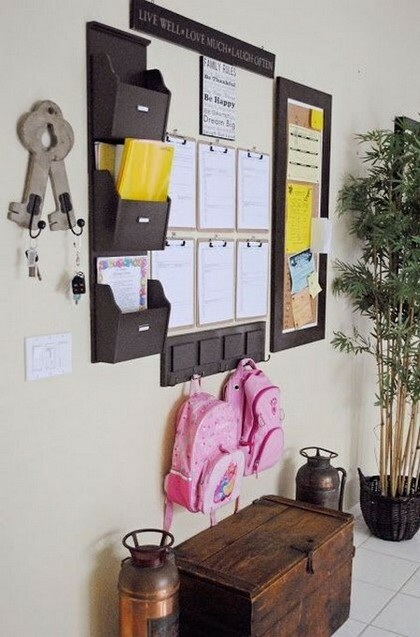 Well organized notice boards are the best tools for instilling orderliness and responsibility in younger generations. 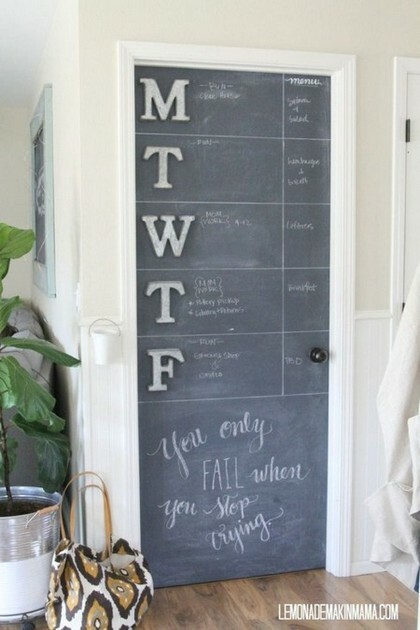 A chalkboard divided into segments with paint or a permanent marker pen is a great way to keep all your weekly or even monthly chores in front of your eyes. 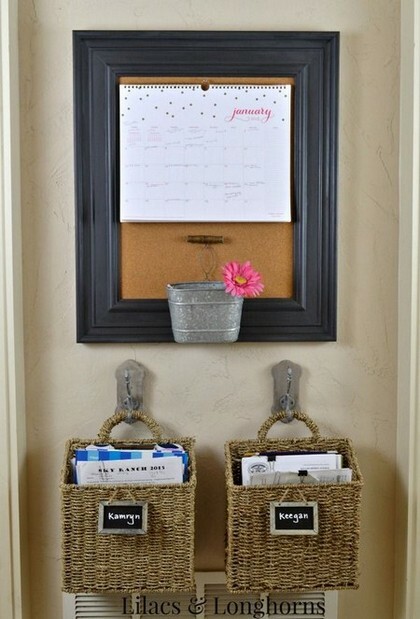 Symmetry, which is the most classical way of space organization, works the same perfectly when it comes to notice boards. A notice board can tell you a lot about the life of its owner. Why not finish your notice board composition with a clock? And don’t forget to get a ladder stool for the youngest members of your family, who can’t reach top levels of your multilayer command centre by themselves. We hope that you found ideas for your inspiration and 2018 will be the year of order and organization for you and your beloved!